Are you planning on grilling mangos? Here is How to Grill Mangos, and recipes to make with grilled, (or barbecued) mangos. 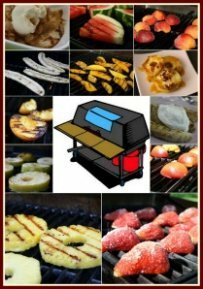 Grill mangos alone, or in combination with other fruits. You may also chose to make mango kabobs - simply cut the mango slices in half, attach them to the skewers, and grill! Or, make grilled fruit kabobs using mangos and one or more other fruits. 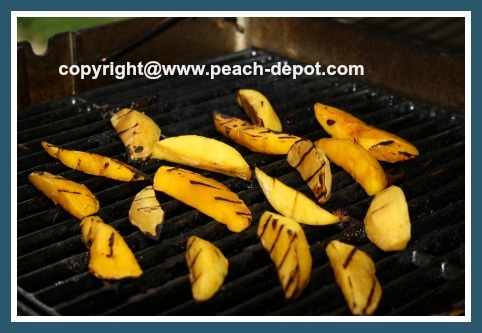 Grilled mangos are also very suitable as a side dish for grilled meats, fish or chicken. 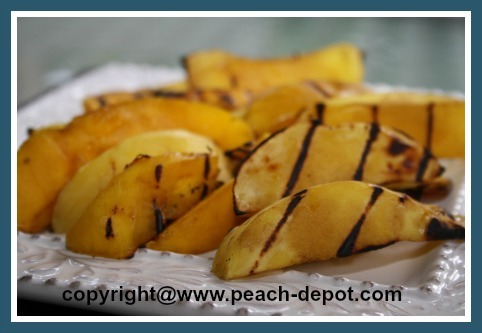 If you have a recipe for grilled mangos which you would like to share, I would be very happy to include it as well. Please send me the recipe via the " Contact Me " page. 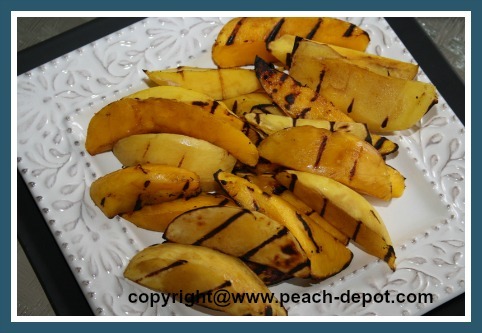 Scroll down for easy to make recipes using grilled mangos! Chop the mango flesh into long wedges, about 3/4" wide and 1/2" thick. Preparing Mangos for the Grill! 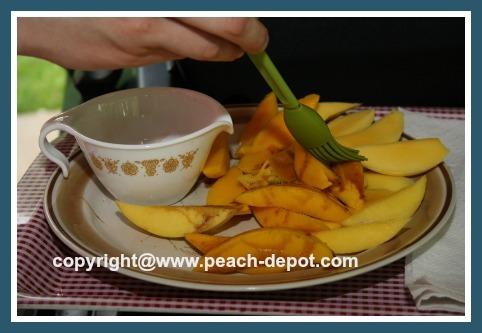 Brush mango slices with olive oil, and salt and pepper to taste, or a specially prepared, or purchased dressing or sauce. (I used a balsamic raspberry flavoured vinegar). An oil spray bottle similar to the one pictured below is a great aid when grilling fruit. 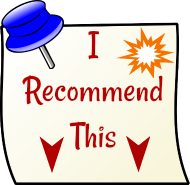 Click on the image for more detailed product information and customer reviews. Oil the barbeque grate, and prepare grill, or grilling pan, for medium heat. Arrange the mango wedges on the grill (or a grilling pan), and grill for about 2 - 3 minutes. Turn, and grill for another 2 - 3 minutes. Transfer to a cutting board, and cut into cubes, (if desired), or serve as slices.